MLADG have released their Mig-15 (an aircraft originally designed in real life by Artem Mikoyan and Mikhail Gurevich) for X-Plane! 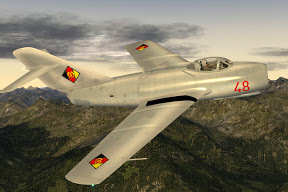 The aircraft is available for X-Plane 10 only, and it simulates the advanced Bis version of the Mig-15. 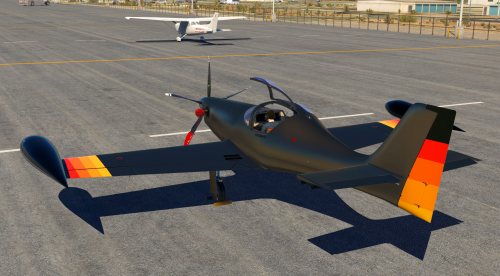 You may purchase the aircraft for a little over $15 USD at the simMarket store. 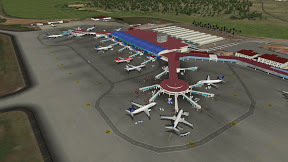 X-Plane scenery designer Butnaru has released his latest creation: Tocumen Intl Airport - Panama. The scenery ships ready for X-Plane 10, but if you're still using X-Plane 9 you may write in and get a copy for that version instead. 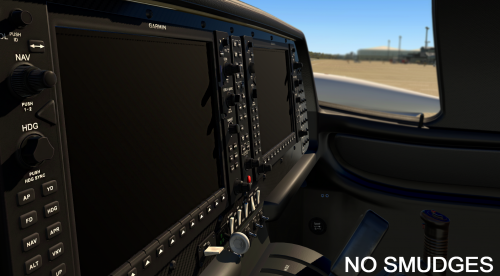 Laminar Research has released version 10.20 RC-3. This patch fixes the hole in the fuselage of the Kingair, and adjusts the taxi light on the Baron. No changes to the code. Airports with invalid runway configurations no longer crash ATC - instead the error is logged so authors can fi the airport data. Lua memory management interface changed for Windows and Linux - if you develop a Lua-based plugin be sure to read this:http://www.xsquawkbox.net/xpsdk/mediawiki/LuaJIT. Fixed crash on GP60 RC plane - airplanes with very, very, very small wings were crashing. Automatic crash reporting improved; in a few cases where X-Plane would have said "please report this to Laminar" it now bring up the automatic crash reporter so we can more easily collect the data. This only happens for cases where something has gone horribly wrong in the sim (typically due to an X-Plane bug, driver bug, running out of memory, or an invalid third party add-on). X-Pilot recently experienced some downtime over the course of a couple of days. Learn more about why this occurred in the General Discussion forum. Thanks to everyone for their patience throughout this momentary hiccup! 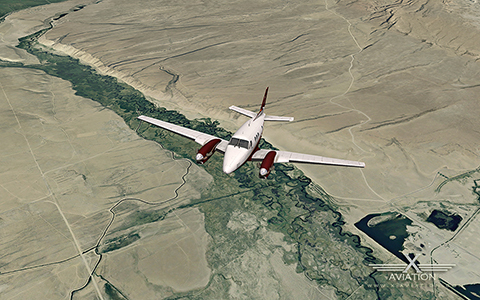 X-Aviation and RealScenery are pleased to show off some preview images of the upcoming NORCAL scenery release! Click here to see the images and leave your comments! RealScenery NORCAL has been a longtime coming project and is one of the most anticipated scenery releases over the last year! As the release gets closer more of these previews will appear for you to enjoy. 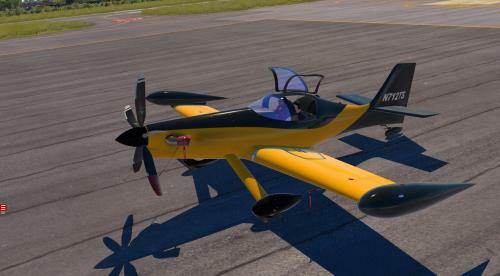 Laminar Research has released X-Plane 10.2 Beta 10. There are a number of small additions and fixes in this build, primarily for developers to check 64-bit plugin issues. 64-bit Plugins that incorrectly link against common static libraries will generate log warnings. Plugin-induced crashes are listed against a specific plugin; crashes in X-Plane's threads are no longer attributed to plugins. Calling XPLMRemoveMenuItem on the plugin menu works reliably. XPLMGetNthAircraftName works during airplane unload message and airplane plugin unloading. This build includes a few more global terrain textures. Fix for missing base loads in electrical system. Some keys fixed on German keyboard layouts. Fixed incorrect layout of some autogen blocks. Fixed broken 32-bit QuickTime record. Cloud puff bases adjusted again. DMax and X-Aviation are pleased to announce the release of the Blackshape Prime! This aircraft is a revolutionary ultralight aircraft developed by the italian BlackShape, featuring a full carbon fiber frame, which makes for an extremely strong and low weight aircraft. 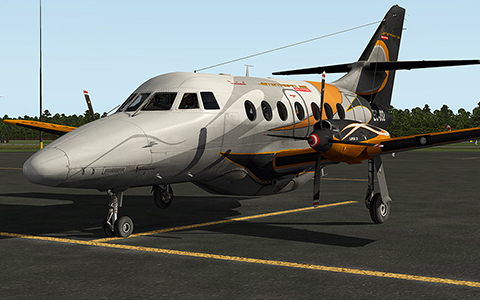 X-Aviation and JRollon Planes are pleased to announce the release of the BAe Jetstream 32! You may go to the product page to find screenshots on the product as well as to purchase it. There is an introductory price discount during initial release! - From the creator of the Take Command! CRJ-200! - Custom simulated systems to mimic the real aircraft. - Optional manual or automatic engine startup. - Ground power unit start simulated with visible GPU. - Sounds created based on real aircraft recordings! - Failure system simulation. Emergency hand pump hydraulics simulated as well as dump mode. - Ability to control in-cabin air temperature and see real effects based on selection. - Awesome atmospheric effects, including ice buildup, fog, function wipers clearing water, and more! - Detailed HD modeling and texturing...it's simply stunning in sim! - Reflective glass on instruments in the cockpit. - Immersive lighting effects with different controls for illumination. - Fully detailed 3D cockpit complete with tons of animations. More than 90% of the instruments are simulated, including more advanced radios! - More liveries to come for FREE! Drawbridge Designs has posted preview images showcasing a free update for customers who have purchased the Wilmington International Airport scenery package! The update will be rather extensive, with all new ground work, a few new objects, and more! 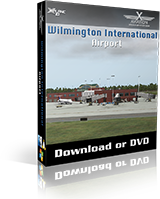 You may purchase Wilmington and get this update for free when it's released by heading over to the product page at X-Aviation! Livery is saved as a preference - when you reopen a plane if there is no option to pick a livery, the last one you used is opened. New button in Open Aircraft dialog box to just change the livery. Fix for LuaJIT compatibility on 64-bit Mac integrated - see here. Plugin authors working on 64-bit Mac plugins should be able to continue with development without any special test builds. Fixed system_window dataref. This should fix the 32-bit TrackIR plugins. Prop heat and inlet heat expanded to up to 8 engines, with new datarefs. This should not affect existing airplanes, but please recheck your icing switches. Custom prop disc cross-fades fixed. If you use the prop disc override please confirm that your add-on works! Eagle claw landing gear dataref added. Fixed RGB light field in Plane-Maker exterior lights screen. Fixed IAS indicator showing airspeed when a plane is flying backward or stationary in a tailwind. Fixed incorrect library paths in autogen - this should fix a bunch of custom scenery packs not loading. More new terrain textures from Albert. Fixed texturing of type 1 repeating fence faces. If your facades still have texturing problems but used to work, please file a bug ASAP! Helipads like NK39 don't float in the air when sloped runways are turned off. Fix for some Intel HD GPUs causing the sim to quit with an error. Fixed crash on Mac with Chinese input methods. Fixed hang when filing certain ATC flight plans. Bottom of cloud puffs should be closer to assigned bases. New commands for directional gyros. AI planes keep igniters on to avoid flame-outs. 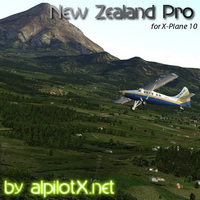 X-Plane 10 New Zealand Pro is a complete replacement scenery package for New Zealand (North and South island). It is a combination of two parts. An extremely high resolution base mesh (even a bit higher than the other HD Scenery Mesh regions) with updated (and more detailed) landclass data (riverbeds, mines and morains are entirely new – compared to default Global Scenery), very detailed road / railroad/ powerline vector, and highly accurate water data (you should find most of the relevant rivers / streams, tiny lakes, and more detailed coastlines). An additional overlay scenery, which adds treelines (this time they are “real”, derived from GIS data) and tons of objects (mostly houses, but there are also barns, churches, substations, schools, hospitals, shelters – outside the area, which are filled in by XP10 autogen). This scenery is for X-Plane 10 only, and ideally, you should have X-Plane 10.20 Beta 5 or above (as it brings some art assets – textures – in its default set, which NZ Pro uses). But don’t worry, if you have an earlier version of XP10, there is a “workaround” for you on the download page. Best of all this scenery is donationware, you can freely download and use it, and if you like, you might donate for it (and even then, you decide what its worth for you). 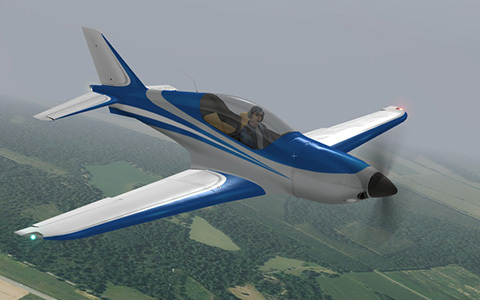 To learn more visit the X-Plane 10 New Zealand Pro Homepage.